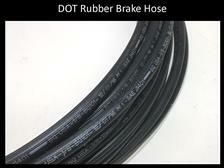 ***All of our brake lines are D.O.T. approved and 100% tested to 3000 psi before leaving our facility! 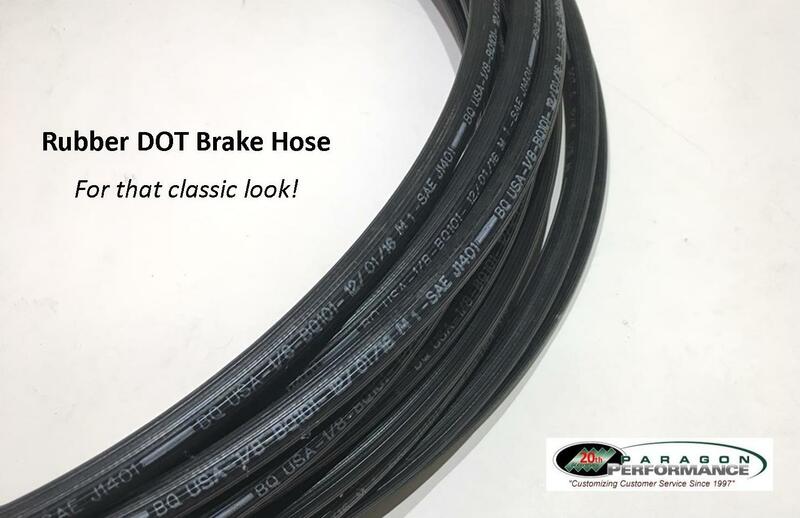 Paragon Performance is proud to offer D.O.T. 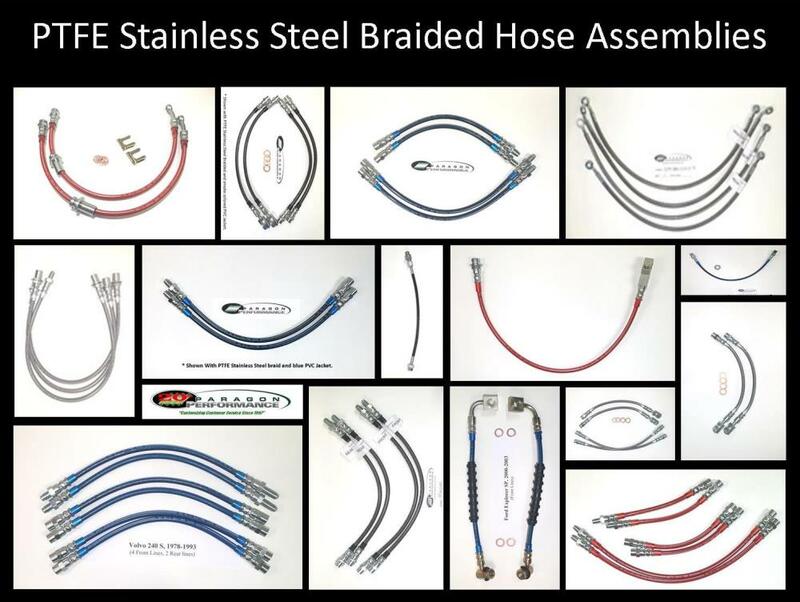 stainless steel braided brake lines using hose lined with PTFE; compatible with all brake fluids on the market today. These lines will provide you with the firmest pedal possible. 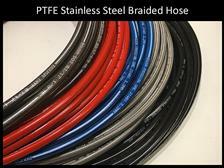 You will not find a finer brake hose available in the high performance market! 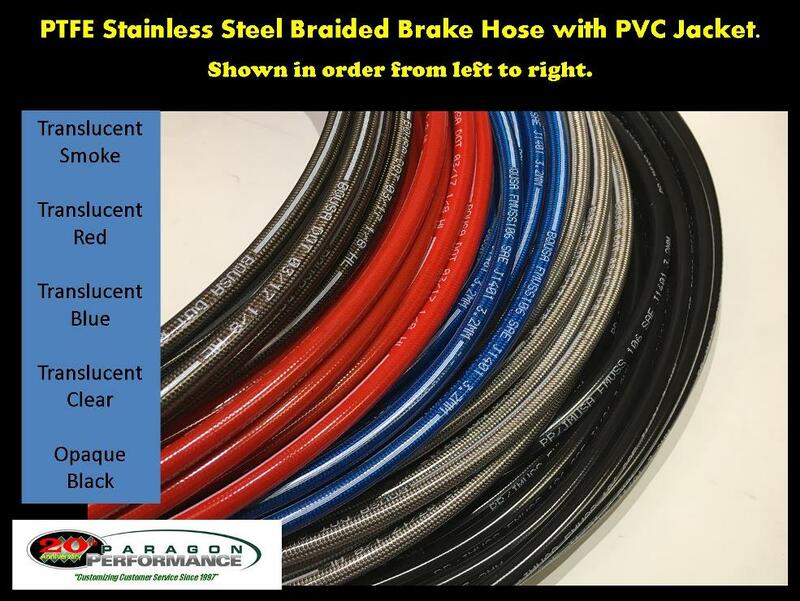 Our brake lines are CUSTOM MADE to fit your specific vehicle. We do not use generic 'one size fits all' lines as do other fabricators. 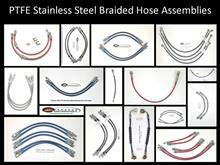 We will fabricate your lines to duplicate the OEM specs or your exact desired specifications.